Today, I’m happy to announce the official release of Logicly version 1.8. This version adds some very useful new features that I think you’ll love. 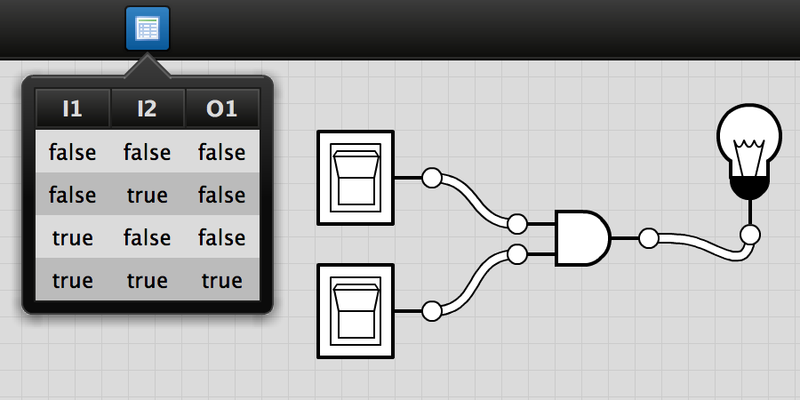 Truth tables have been requested many times over the years, and now they’re finally available. 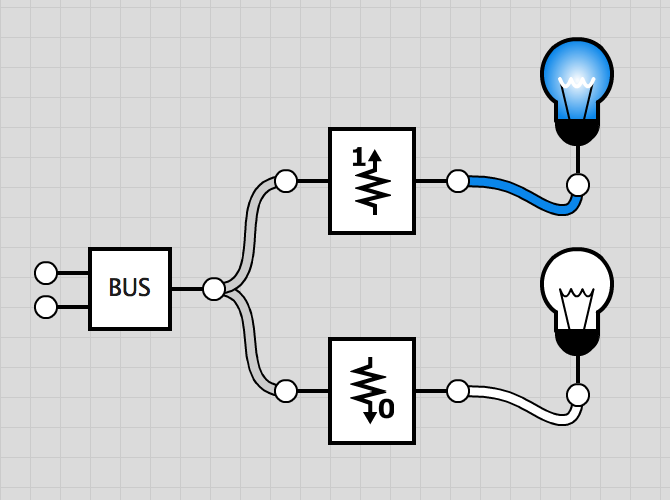 Additionally, you can now add Pull Up and Pull Down circuits to your projects to ensure that the Hi-Z signal doesn’t propagate. If you click the new Generate Truth Table button on the toolbar, you’ll see a table pop up with all of the inputs (toggle switches) and outputs (light bulbs) in the document. You don’t necessarily need to create a truth table for the entire project, though. If you prefer, you can select a small subset of your project, and you can generate the truth table for only that selection. Finally, when you drill down into the design of a custom integrated circuit, you can click a button to generate the truth table for the IC. Pull Up and Pull Down component are useful when working with the Hi-Z (High Impedance) signal. Normally, these components work similarly to a Buffer component. If the input signal is High (true) or Low (false), then these components will output those signals completely unchanged. However, if an input signal is Hi-Z, the Pull Up component will “pull it up” to High (true), and similarly, the Pull Down component will “pull it down” to Low (false). Finally, I think everyone will enjoy some performance optimizations that help Logicly read files and create custom integrated circuits faster. In some cases, I measured a 30% improvement or more! Please point your browser to the Logicly download page, or go to the Help menu in Logicly and choose Check for Updates. If you’ve been playing with the free trial, and you like what you see, maybe now is the perfect time to buy Logicly.